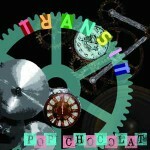 POP CHOCOLAT is a Japanese girlie band from Kyoto. 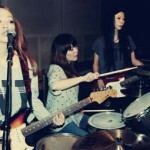 Led by guitarist..singer..songwriter MIHO and drummer..singer..songwriter NATSUKO they started performing around KYOTO and OSAKA in 2000. 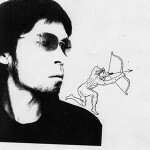 In 2002 they were joined by bassist..singer AIKA and their debut album “NIJIIRO FALSETTO” was released on the “DAIZAWA” label in 2005. 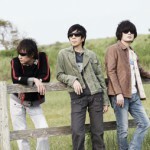 After moving to Tokyo in 2006 they released their 2nd mini album “Rhythm” which met a favorable reception. 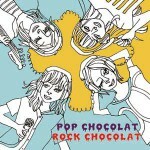 AIKA left the band in February 2007 and POP CHOCOLAT continued working with their other supporting musicians MICHIKO and SHIHO. 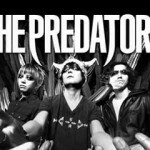 In November 2007 MICHIKO became their regular bassist..singer and in February 2010 SHIHO became their regular keyboardist..singer. 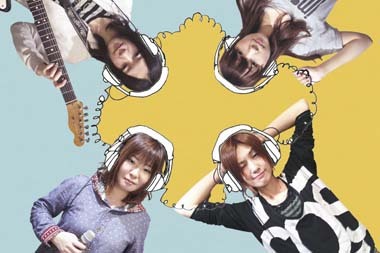 The four of them are currently performing. 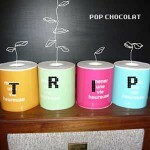 Their new mini album “Trip” is due for release on the “DELICIOUS LABEL” on March 10th 2010. 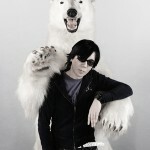 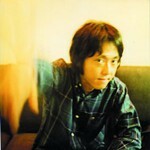 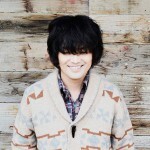 The album was produced by Sawao Yamanaka the vocalist..guitarist from Japanese rock band “the pillows”.